[definitely not] news flash. | sara, darling. the library has cookbooks, people. and you can check them out for 2 months (as long as they’re not uber-popular, of course). 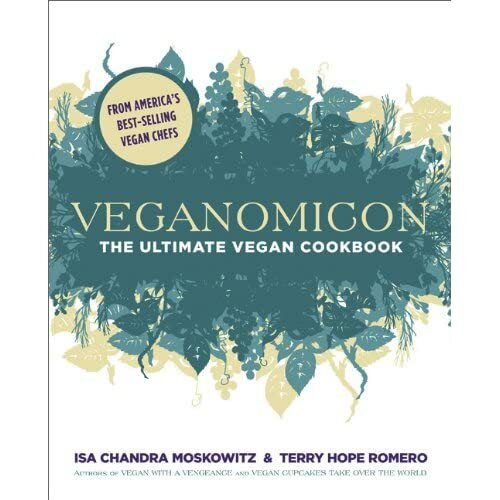 oh, and we’re not becoming vegan, really, but i am attempting to expand my culinary repetoire, and we’re making some changes around casa derose in the food department, but more about that later. until then: who’s coming for dinner? note: as i gushed about my incredible bounty of culinary literature, the dear boy informed me that this is no new thing, as i have this thing called the “internet machine” which contains thousands of recipes. note to the note: this entire exchange may have just been imagined. final note, associated with the asterisk at the beginning: i tend to “discover” things about 7 years after they are popular, or (and this happens less often) exactly 9 months before they become ubiquitous, and then prattle on about them to others as if i’ve just found the NEXT BIG THING. my kind friends tolerate me. ← time warp, aisle 7. So, if you discover something 9 months before it becomes ubiquitous, does that mean you’ve gestated a ubiquity baby? 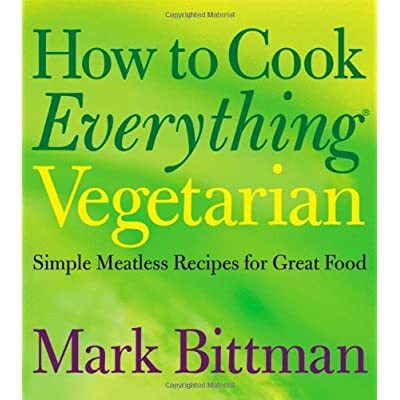 You know how I feel about Veganomicon, but I also think Mark Bittman is pretty awesome. Enjoy your culinary adventures! Also, it’s time for tea again. indeed! i’ll email you and we’ll schedule when i might come ring ’round.